For those who like to change a new cam shaft for their 4G15 engine, here are some information about the cam specification. 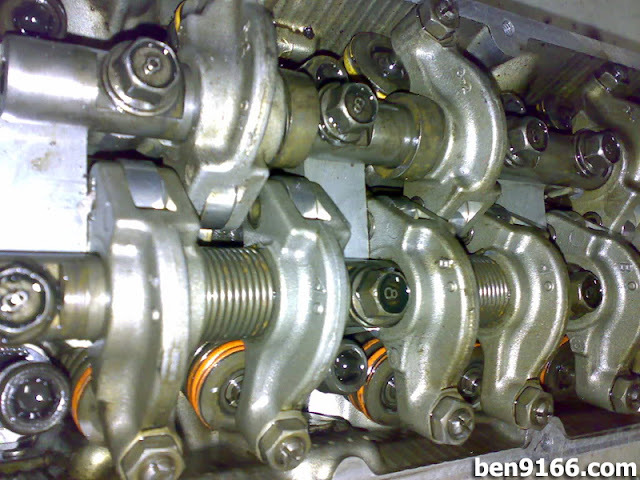 Before changing new cam shaft, you may read this useful information to understand more about what is the degree of the 4G15. However do remember that there are 2 different kind of 4G15 cam shaft specification where a 4G15 equipped with a carburetor is having lower cam degree compare to the 4G15 equipped fuel injection. Below there is the information about the intake valve open, intake valve close, exhaust valve open and exhaust valve close degree value. Continue to read more. My blacktop 6 speed info got bo??? KNS Eric, go back to write your finance info la. kekeke. By the way, this info is from tictac 4G15. I found it useful and would like to share with the rest. What blacktop info you want? Come out yam cha la then we talk. if i use jasma high cam on my satria,the of setting valve clearence still same like stock or not?please guide me..